Sounds like we have matching Saturday plans. Love this day of the week! Thanks for share. Saturday is my favorite day of the week, this is the day when I go to church in the morning. Quick question. 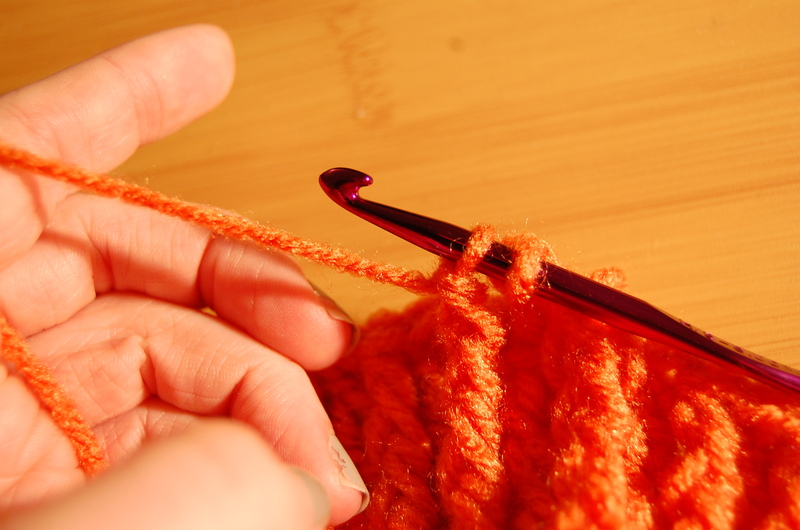 At the end of each round do you do a slip stitch before beginning the next round? or do you just keep going? I’ve made several hats and cannot figure this out. It looks all wonky if I join at the end of each round, but if I just keep going without joining, then its lopsided. I don’t get it! Also, if you SC a hat, what do you use to join between rounds? and for dc? what about hdc? I hope this makes sense. Thanks! Great question, Cindy! I didn’t include that as part of the instructions, but I should have. Sometimes I just take things for granted! 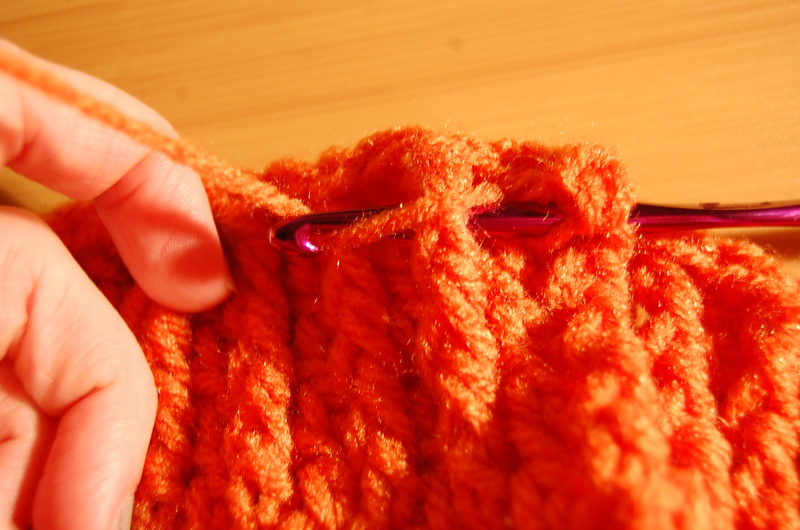 You join each round with a slip stitch. I can imagine how wonky your hat must look if you continued working in the round like a spiral. 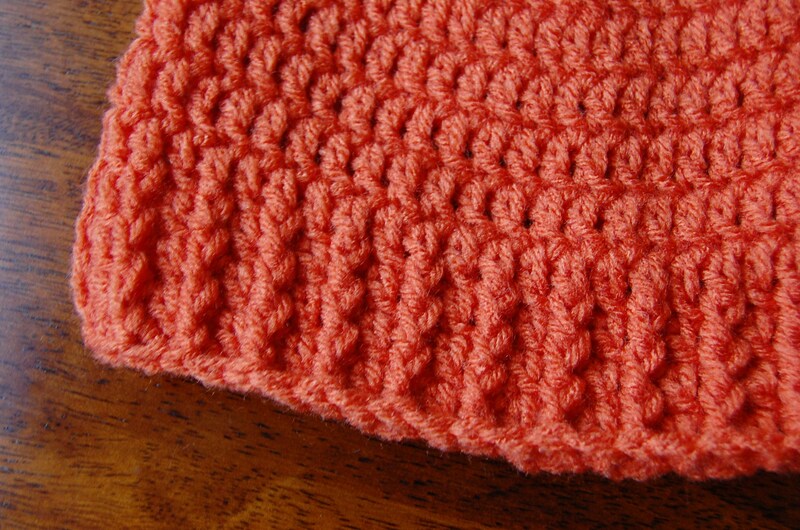 You use a slip stitch when joining DC, SC, or HDC stitches. I have known some patterns that advise you to use a stitch marker to keep track of single crochet rounds so you don’t have a visible seem. And since single crochet stitches are short in height, you can get away without using a sl st to join, but I find it’s easier to just slip stitch everything. Hope that helps clarify! Nice hat pattern. Can you tell me what the measurements of the men’s hat is. I would like to make one for myself and my head measures approx. 21″. I’m thinking a G hook might work for my size. Suggestions???? Hi Debby, I’m glad you’re making this hat for yourself! Even though the pattern is written to fit a man, at its “non-stretched” version, the hat should fit you as well. You should be fine following the pattern as written and using a “H” hook. I just tried on the hat I made and it fit me fine (and I’m around 21 inches too with all this hair!). Let me know how it turns out. Have fun! I must have a fat head 🙂 I added two extra rows during the row 6-10 repeat and then after rows 11-13, I added 2 rows of DC of a contrasting color, then repeated rows 11-13 to fit my big head! Great pattern and it goes so fast! I will post the picture. I was short on the gauge by less than 1/8″, when you see the picture, the contrast band hits just above my ears, so I can roll the bottom section of FPDC up or down depending on the wind speed 🙂 I really like being able to complete a project in one sitting! Hi. I’m trying to make this hat right now and I’m having trouble with the FPDC. Is it supposed to curl up a bit? Will it stop curling once I do that last round? Also it doesn’t look anything like the picture you have posted. Thanks! 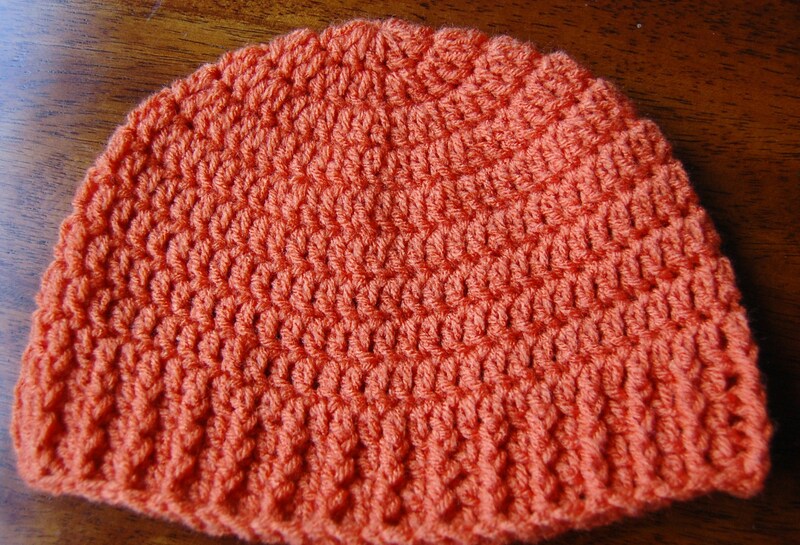 The FPDC shouldn’t make the edges curl at all – it will give the hat some texture, but the edges won’t curl. How are you working the FPDC? Hi When you slip stitch at the end of every round do you also chain 2,love the pattern but it didn’t look anything like your picture so trying again. I’m having a curl up issue at the FPDC as well. THe way I’m following the instructions it would appear I’m adding stitches. I get the FPDC part, but then it says to DC in next stitch which seem to have me adding stiches. Ah – that is the problem then, Wendy (and I’m assuming you’re having the same problem too, Stephanie). But it’s a simple solution! You should have the same number of stitches in Round 10 (DC) as you do in Round 11 (FPDC + DC) – 55 stitches around for both. When working Round 11, you don’t work anything into the double crochet top of the POST that you used to make your FPDC. 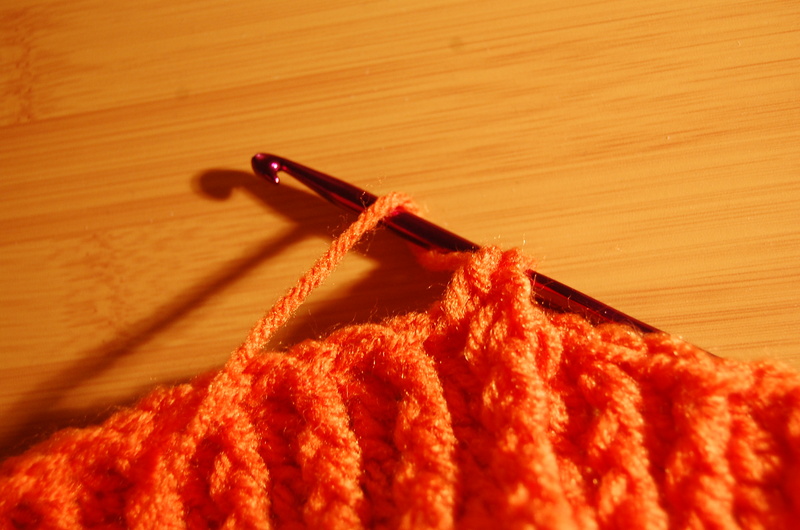 You might feel like you’re skipping a stitch, but you don’t work anything in the loops of the post. Your next DC is worked in the stitch next to the post. This pattern of FPDC + DC will give you 55 stitches at the end of the round (rather than the 80 or so you’d end up with if you worked a DC into the post of the FPDC). So after you work a FPDC around a DC from the previous round, your next DC will be in the stitch to the left of the “post”. You leave the loops of the “post” empty. Does that help clarify things? The FPDC is tricky because it’s a different stitch than working in the top loops of a stitch, but yous should be good once you get it. Thank you for replying. I almost forgot I was waiting for an answer from you. You see, I’ve been making a crochet ball for my new grandon so my time has been focused on that project. I checked a couple of times to see if you answered, so I just moved on to something else until I heard from you. Thanks again, I’ll follow the directions just as you have written them. Thanks Jayna! I love the ribbing-I was looking for something like that when I made my mittens but couldn’t figure it out. Great instructions! Thanx Jayna, This hat was my first project. I am a beginner at crochet and needed something simple but not too simple found this to be exactly what I wanted. was really easy to follow the instructions. I repeated the 4th and 5th row and increased 11 – 13 to 11 – 16 so now it could cover my ears. I just used your pattern to crochet a hat for my hubby, who is deployed to Afghanistan. It is pretty cold there right now and he will love it. It turned out great. Thank You! That’s awesome, Jackie – I’m glad you found the pattern helpful! I’m sure your husband is going to absolutely love his new hat. Not only because it’ll keep him warm, but because it was made with love. 🙂 Thanks for sharing! Hi Colleen – I’m sure your friend is going to love his hat. In order to make it bigger for him, I’ve written instructions for a larger hat. First, follow the pattern as written for the first 5 Rounds. When you get to Round 6, work * 2 DC into next stitch, 1 DC in next 9 stitches,* Repeat around. Join to top of ch-2 with a SL ST.
Then continue on in the pattern for Rounds 7 – 11 by working 1 DC in each stitch. Rounds 12 – 15: Ch 2, *FPDC into next stitch, DC in next stitch,* Repeat around. Join to top of ch-2 with a SL ST. Thank you for the pattern. Are you supposed to chain 2 at the beginning of each round? Yes, Tammy, you chain 2 at the beginning of each round. Sorry you’re having a rough time with the pattern, Stace. Keep trying and making sure your gauge is right and go from there. I think making the pattern larger like you said is a good idea. Let me know if you’re still having trouble and we’ll figure out the problem! I’m having a bit of trouble with row 5. To be clear, the instructions are to put 2 dc into the next stitch, and then the next six stitches get one dc, right? When I do this, I end up with 60 stitches for that row. I’ve double- and triple-checked my previous rows, and everything else is perfect. Is there any way you could help? I made this the night before last in double-quick time, and it fits my husband beautifully. (His head is usually far too big for most men’s hats!) Now, I’m thinking of making it with a thinner gauge yarn, so it’d be great as a ladies’ hat with some sort of embellishment on the side. Thank you so much for sharing a great pattern! Hi, I’m very new to crochet but like the look of this hat. Would I be able to use a chunky yarn and use the same pattern as long as the guage is right? Like Heather (8/3/12) I too, am having trouble w/row 5. I am doing like the instructions however, I am ending up with 56 stitches, not 55. I’ve gotten 56 and 57 stitches but never 55. What am I doing wrong? I even went to a friends house who is amazing w/reading patterns and she is stumped as well. Along with Heather, I too, am having troubles w/row 5 and beyond. I seem to always get 56 stitches, not 55. I am counting the first ch 2 as the first stitch per the instructions. Is this correct? And should I be getting 56 stitches? Also, at each joining at the end of the row, my hat looks a bit like it’s not a “straight” line at the seam rather slanting to the right and looks like it could be 1 to 2 stitches off. But every dc is being used. Thoughts??? Thanks! Hi Heather and Julie – Thanks for your comments! I’m sorry you’re not getting the correct stitch count (56 vs. 55) for Row 5. It could be how you’re joining the stitches at the end of the round, but it honestly won’t make a difference if you’re one stitch off. Crocheting is about freestyling and having the liberty to have some fun! 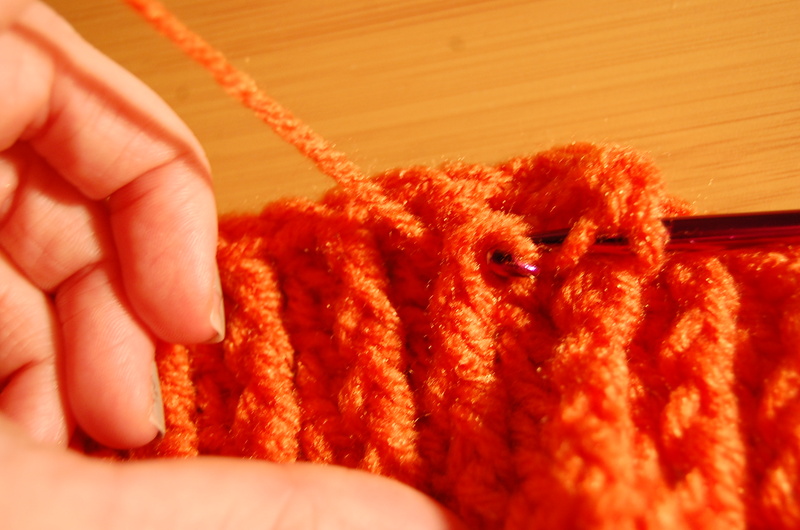 Without seeing what you’re working on, it’s hard to tell what the problem is, but If your seam is looking a little “off” and crooked, it sounds like there might be something off in how you’re joining the stitches at the beginning and end of the round. Were you able to get the hat to work out? Thanks for your response! No, I’m still getting 56 instead of 55. I join w/a slip stitch at the top of ch 2 – that’s correct, right? Then chain 2 to start the next row and count that as my chain 1. I think what’s really “getting” me is the seam where each row is joining isn’t ‘straight’ and slants to the right side. That’s where it looks like I could be off a stitch or two. I’ve ditched hats in the past because they seem to be hard for me! 🙁 But I can do blankets like crazy! 🙂 Do you have a picture of this hat where the seem is? Maybe if I saw it and compared it to mine, it would help me? Appreciate your help! I really DO like the hat!! 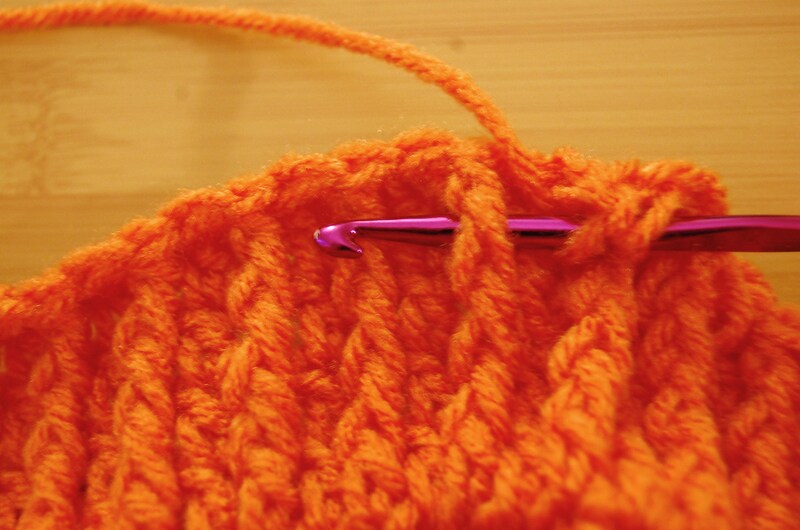 This is what else is weird – every row before row 5, I end up w/the correct number of stitches. But row 5 and beyond is where I get 56. I am about to start round 4 and just realized I did not chain two at the beginning of the prior rows because it was not in the instructions. I read the questions and answers and want to know do I have to start over or can I start chaining two from here on out and the hat still turn out okay?? I am advanced at crochet and for the life of me do not get the correct amount of stitches as in you pattern. Went to row 5 and as another had more than 55 stitches, my hat looks like a frisbee. So I am starting the 6-10 after row 4 to see what happens. Anyway thanks for the pattern. hi. i am having a little trouble cause i have to add stitches in teh 6th row to fit mi son head, thats a little bigger than mine and the instructions says to make 2 dc in first dc then 9 dc in each dc but if i do it i ended with 4 dc before the initial 2 dc. i am doing something wrong? the first rows i did was correct but this row isnt. can you help me? Thanks for all your responses! 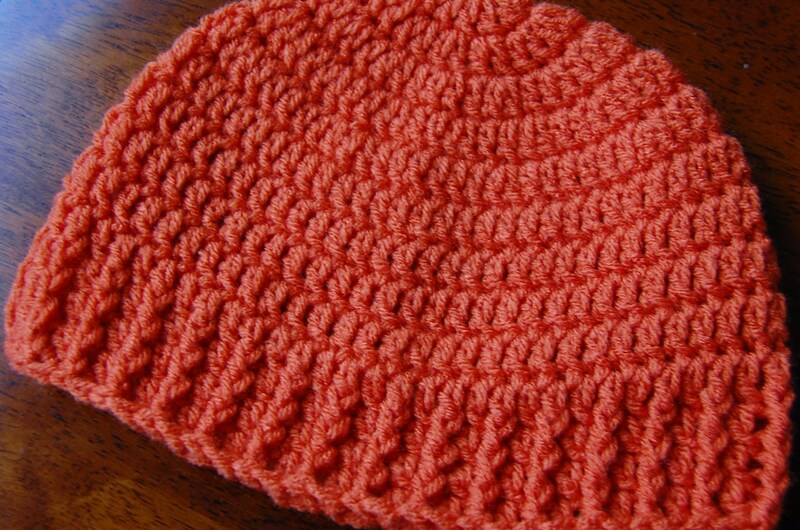 If you’re finding this hat is a little too small for the person you’re making it for, you’ll need to add more stitches. Either begin by crocheting more stitches in Round 1, or continue increasing for Round 6. * 2 DC into next stitch, 1 DC in next 8 stitches,* Repeat around. Join to top of ch-2 with a SL ST. If your hat is too short, work an extra row at the end. In terms of stitch counts, if you have either 55 or 56 stitches after Round 5, it honestly won’t make that much of a difference for the overall fit. Both will be fine! Some people join their rounds differently than others which is where i”m guessing the inconsistencies are happening. Honestly, it’s okay! Thanks again for your comments. If you have additional questions, please share and I’ll do my best to answer them! I am on round 3 and tried this both ways; starting the round with the chain 2 as the first dc and starting the round with the chain 2 with a dc in the starting dc (2 stitches in the first dc). Both ways has this round ending up with 39 stitches. Is this where everyone else is getting an extra stitch in following rows? although everyone has said previous to row 5 has the correct # of stitches. Just wondering. Thanks for the posting this pattern. I just made this pattern in blue with green stripes and it turned out excellent! Thanks again. I just finished this hat now. I too had a little trouble with the count, 39 stitches at row 3, 52 stitches in Row 4, 56 stitches in row 5 and 57 stitches in row 7. I unpicked it a few times trying to get it according to the pattern, couldn’t so I pressed on ahead. I found the ribbing didn’t look as dense as yours but the last row of SC helped it uncurl and pull it together. Oops, sorry for the typo. That’s 59 stitches in row 5. The FPDC rounds still worked out right and correctly spaced though. Am I the only that cant see the pattern I would love to give this a pattern a try but I don’t see the pattern. Quick note: If you’re having trouble viewing this pattern, please change your browser. Some users were having issues when using Internet Explorer. Firefox or Chrome are best. Thanks! I cant seem to find the pattern for the mans hat. Could you please send me the pattern to my email address. Thank you. Hi Susan, seems like there were some setting issues when viewing this pattern through Internet Explorer. Those should have been resolved and you should be able to see the pattern for the men’s hat. Are you able to see it now? Okay, I thought I was going crazy. I am an advanced crocheter and I kept getting 56 stitches in row 5. I frogged 3 times already!! Reading all the other comments, I see I am not the only one. I am going to go forward from here on out with 56 stitches in row 5. This was just the hat for my husband, thanks…..but, something I’d definitely off with the stitches. I made it through doing the larger version but when you get to the ribbing it really should be an even # so you don’t have 2 fpdc’s next to each other and it looks even. That’s what I ended up doing.